Therefore you have to obtain the Vitamin C your body needs from external sources. Vitamin C is a potent antioxidant that protects your body from the damaging effects of free radicals. The danger of these highly reactive free radicals stems from the damage they do when they react with cellular systems such as the cell membrane or DNA, which can cause cells to function poorly or even die. Antioxidants are substances that inhibit oxidation by binding to these free radicals to neutralise them, thereby preventing cellular damage, which can be a pathway for various diseases such as cancer and premature ageing. That means less Vitamin C that is available for uptake. 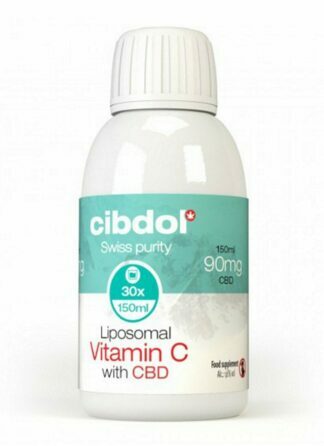 Liposomal encapsulation encases the Vitamin C molecules in a lipid that protects it as it passes through the digestive system. The result is that you get far higher blood levels of Vitamin C for longer. Vitamin C encapsulated in liposomes produced circulating concentrations of Vitamin C greater than those elicited by oral delivery of unencapsulated Vitamin C.
Vitamin C has been shown to decrease oxidative stress and, in some instances, improve physiological function in adult humans.